Karen and the team at Workspace Strategies have been invaluable in launching our new Workspace project and brand. As a building owner and developer, it’s been great to work with an experienced group of professionals with years of experience the shared workspace industry. From defining our strategy through a feasibility study, to refining our space plan to selecting back office systems and vendors to training our staff, Karen and her team have been timely and available to help us every step of the way. We appreciate that she has a team of specific subject matter experts available whether it’s dealing with technology, billing, sales or marketing. 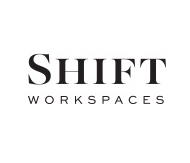 We look forward to working with Workspace Strategies for years to come and on our upcoming projects. I met Karen Condi in San Francisco at an ABCN conference where she recommended that I upgrade my internet services. Being that my suite is focused on lawyers in Washington DC, I was very apprehensive of any changes to my system that could create a disruption of vital services. Karen focused immediately on my specialized market and diligently represented my interests with my new internet vendor. She was always available by phone and her later visit to Washington turned out to be INVALUABLE!!!!!!!!! Can’t recommend Karen enough. We worked with Workspace Strategies on a management and consulting basis. I cannot speak highly enough about The Company and Karen Condi in particular. Karen is extremely knowledgeable in the industry and she truly “cared” about my business from day one. She is very passionate about helping her clients and worked hard to deliver the results that she set out to achieve for us. Karen’s energy is contagious and my staff was always energized after her training sessions or their weekly conference calls. Our leads increased within the first 30 days of working with Workspace Strategies and my staff became much stronger in the sales process due to the strategies that Workspace Strategies was able to implement. The investment with Workspace Strategies was money well spent and I was able to see a ROI sooner than I anticipated. 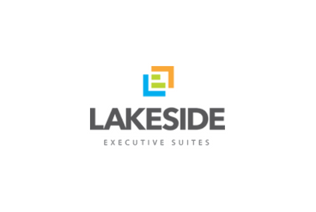 Lakeside Executive Suites occupancy increased over 40% resulting in an increased annual revenue of $200,000 within the first 18 months of working with Workspace Strategies. Workspace Strategies has been incredible to work with. 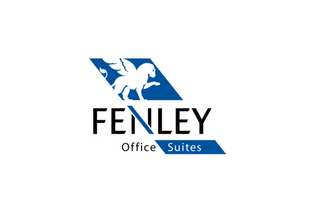 The Workspace Strategies team is the most professional and experienced group in the Industry who helped Fenley Office Suites turn one center around in a crisis management situation. We also hired them to develop and open a second location in the Louisville market for us and they did a tremendous job for us with this project as well. From staffing to sales, marketing and operations, they are the group to turn to in order to get the Industries best advice and services to help your center. We have become happily dependent on the array of services available from Workspace Strategies. From market analysis to business presentations, and now the personalized receptionist services (PROS). Delivered punctually and impeccably, with the friendliness that makes the next collaboration with Workspace Strategies something we look forward to. Town Square Office Suites desired a partner with knowledge and resources that could provide insight into the coworking industry. Karen has captured the goals and culture of our organization – presenting options and providing direction along the way. The Center that we have created together will become a landmark in our community providing services through a modern and efficient environment. Our Center will not only address a specific need within our community for shared workspace, but enhance the opportunity for our real estate organization to service the full life cycle of our clients. I highly recommend Karen Condi and Workspace Strategies for your project needs. I was initially apprehensive about the value of hiring an outside consulting firm to meet our revenue goals. Workspace Strategies promised me concrete results and that is exactly what I received. The two day site visit was quite comprehensive in its scope. The business analysis provided was full of specific suggestions for ways to improve our overall operation and especially our marketing efforts. Karen Condi is extremely knowledgeable about the executive office suite business, is very well–spoken, and was true to her word on everything she promised us. I look forward to additional opportunities to work with her in the future. The team at Workspace Strategies is top notch. We immediately felt like Karen was part of OUR team. They provided us with a solid business plan and local market study. But more importantly, they took the time to talk to us and answer our questions. They can also put you in touch with proven vendors who can help you avoid costly errors and increase your revenue. Their wealth of knowledge about the industry was invaluable, and I would recommend Workspace Strategies to any office business center owner. When Abby Executive Suites needed supplemental sales training, we called Karen Condi. Her industry knowledge, excellent teaching skills and attention to the needs of our team made for an excellent program. Our team not only enjoyed the class, they immediately used what Karen taught them to increase their tours and close deals. I would highly recommend Karen. 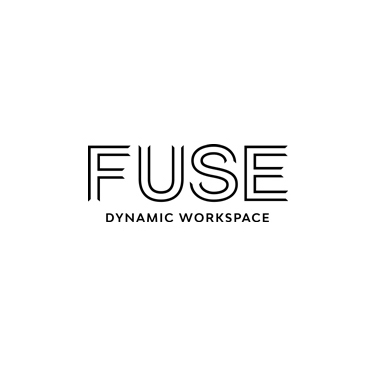 We had the opportunity to work with Workspace Strategies when one of our properties was experiencing declining rates and revenues due primarily to lack of staff training and high rates of turnover. They were able to come in and stabilize the operations by hiring and training a new staff for us. This set the foundation for us to get moving back in the appropriate direction with the property and we were able to position it for sale. I would recommend this group to anyone in the future. From honesty, integrity and dedication to get the job done, they are the best around. Karen’s advice has been valuable to me as a rookie business center owner/manager. She has helped me move up the learning curve far more rapidly than I could have on my own. I tried more than one consultant and found her knowledge, professionalism, and results to be far superior to her competitors. I appreciate her thorough, detail oriented approach to her work as well as her patience when working with an inexperienced owner such as me. She delivered the results she promised and she was very personable and easy to work with. Karen is a real expert in the Industry and I look forward to working with her on additional projects. The training seminar with Karen was extremely beneficial to our both of our business centers. We learned key strategies that have directly affected a positive change in our dealings with both current and potential clients. She was willing to tailor her sessions to our specific needs and gave us an abundance of great ideas for improving the operation our centers. To top it off, Karen was extremely kind and genuinely enthusiastic about seeing us succeed. When it was time to update our business plan, we enlisted Karen to guide us through the process. Her knowledge of the Shared Workspace Industry, and her familiarity with current market trends and conditions were invaluable. Now that we’ve completed our plan, we feel confident that we’re moving forward in the right direction for our next ten years. Great job Karen! APEX contracted with Karen in 2010 to help us get some processes in place, update our collateral material, and train our staff to better handle inquiries and assist in the sales process. Karen’s staff produced some beautiful materials that we use to help close sales. Karen was great at encouraging staff and management to develop a more professional presentation for prospects. All in all, we greatly benefited from our time working with Karen, and we would not hesitate to do it again. I have had the opportunity to work with Karen Condi on several projects over the past 10 years and I have come back to her many times due to her industry knowledge, flexibility to work with me on my terms. The fact that she always keeps my business needs and long term goals in the forefront with the decisions she makes on my projects is very important. She is one of those people that you just enjoy doing business with because you know she has your best interest in mind!